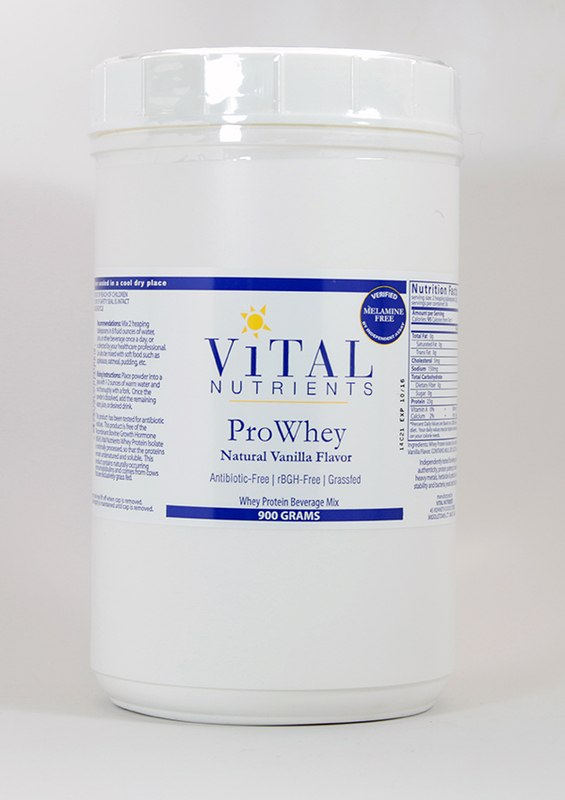 ProWhey with Natural Vanilla Flavor is produced from milk provided by New Zealand dairy cows that graze on pesticide and chemical-free natural grass pastures. This Whey Protein Isolate has been tested for antibiotic residue and is free of Recombinant Bovine Growth Hormone (rBGH). ProWhey is minimally processed so that the proteins remain undenatured, soluble and have utmost physiologic activity and benefit. ProWhey contains naturally occurring immunoglobulins, powerful physiologic factors that help support and maintain a healthy immune response. into 2? x 2? squares. Some people who are allergic to milk may be specifically allergic to whey. 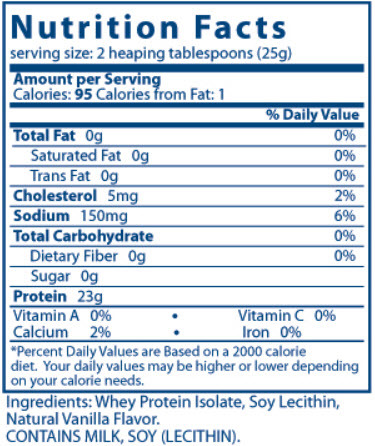 In moderate doses whey protein doesn't generally cause any adverse events.